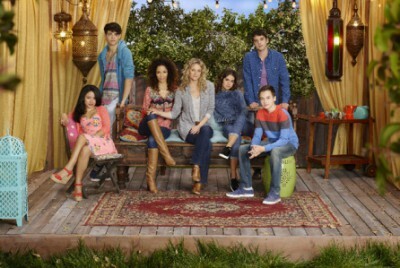 The celebrated family drama series The Fosters will be ending its run after five seasons but not before a final three-episode installment, which will introduce a spinoff series, according to Deadline Hollywood. The Freeform network has greenlighted a three-part The Fosters finale event to air next summer, while also giving a 13-episode series order to a Fosters offshoot starring the series’ Cierra Ramirez and Maia Mitchell. Set several years in the future, it will follow the lives of their characters, Callie (Mitchell) and Mariana (Ramirez), as they embark on the next phase of their young adult lives. I hear the two may be joined by at least one more young Fosters cast member, with conversations currently underway. The idea for a spinoff series came from The Fosters’ three writing executive producers, creators Peter Paige and Bradley Bredeweg as well as Joanna Johnson, who are shepherding the project. The trio felt it was time to grow the younger characters up and pitched the idea how to do that.